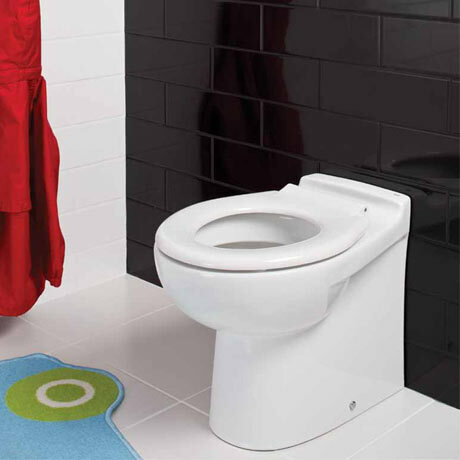 A Junior Back to wall WC pan from RAK ceramics for nursery, school or home, supplied with a ring seat. The height of pan is just 350mm to rim. A back to wall toilet especially designed for kids. It is made from high quality vitreous china making it durable and robust, to withstand the daily uses of the toilet. Dimensions - W330 x D480 x H350mm to rim. Q. What are the dimensions of this toilet seat? Hi, the dimensions of the RAK Junior Back To Wall WC are: W330mm, D480mm, H350mm to rim. Hope this helps! 1 out of 2 found this question helpful.